Mar 2015 - ??? ???? Andrew "Vedius" Day is a color caster for EU LCS currently employed by Riot Games. Andrew "Vedius" Day is from Llandeilo, Wales in the UK. He had been doing amateur casting for tournaments such as the ESL UK Premiership League and Insomnia57 Spring 2016 prior to casting for Riot. During this time, he also posted videos to his youtube channel that were mostly strategy focused. In Summer 2016, he began casting both EU CS and EU LCS. He also occasionally provides analysis on the desk. 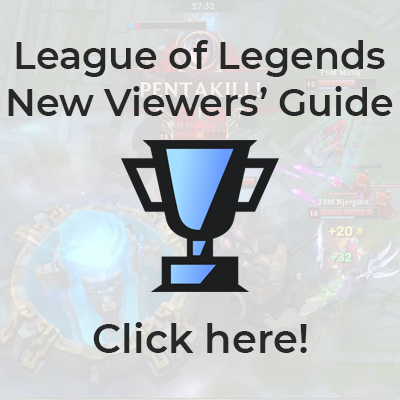 Additionally, he has his own video series on LoLesports' youtube channel called "Vedius' Picks to Watch." In it, he discusses what champions he thinks will be popular in the current patch. Is high diamond in the game. Inspired to be a caster by CaptainFlowers. Plays Blade & Soul regularly. His username in Blade & Soul is Raioku. Was considered one of the best Kung Fu Masters in Europe. Qualified for a tournament at Dreamhack in 2017 and placed top 8. Is an avid Nocturne enthusiast, particularly playing him in the mid lane. Favourite anime is Hunter × Hunter and favourite manga is Alice in Borderland. Favourite Dragonball scene is when Goku masters Ultra instinct in Super and smacks Jiren about.